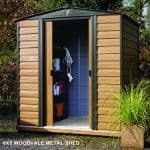 This unique 6 x 6 metal shed benefits from gable roofing which has an apex feature. The apex feature allows for more headroom, which is particularly handy if you have tall garden equipment. 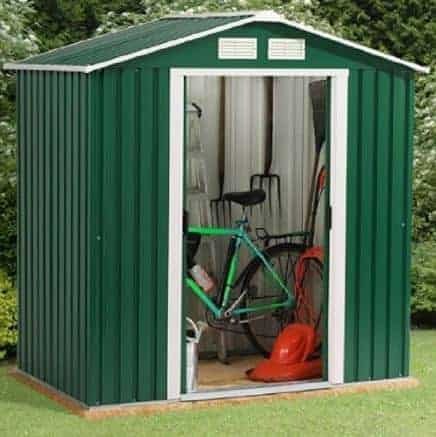 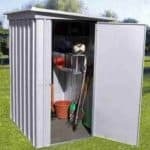 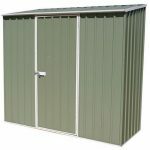 The shed has galvanised sheet steel in the frame and the base metal thickness is 0.55-0.70 mm. 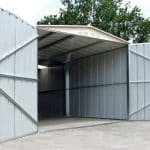 Zinc coating ensures that there is more protection against rust, and the building has a 15 year anti-rust guarantee. 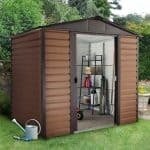 The building will not have any problems with rot or rodents, and it is very easy to assemble.